I’ve just gotten a hold of Kobold’s newest EP release Blowback and it being an EP I wouldn’t normally consider it for review, but the fact is that I really enjoyed it and need to tell someone. 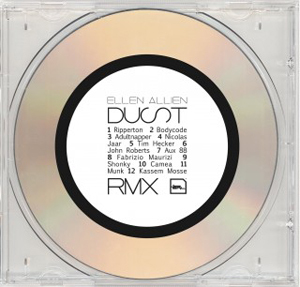 The EP features two versions of the title track “Blowback” and two other tracks. The first “Blowback (Untermenschen)” provides a dark feel with good synth work and a solid 4-4 beat. This track is the most club friendly track on the CD, but its definitely not an anthem song that everyone will be requesting. It is more of a track that the DJ plays because he knows its good and he wants to hear it loud! Next up is “Blowback (Asunder)”, this track has droning vocals over unique glitch like sounds and frankly sounds nothing like the first track, which I personally enjoy. I hate when I listen to different mixes of tracks and they both sound exactly the same. Moving on to track three “Dressed Dark States”, it follows up on the glitchy noises presented in the second track but it has more of an IDM/glitch feel to it then industrial feel, perhaps it is because it is an instrumental track. The last track on the EP, “Torn” beings back the vocals and in doing so also brings that industrial feel with it. 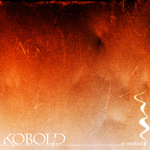 Overall the Blowback EP by Kobold left me very happy. I only have one complaint and it’s that there is no release date yet for a full length album.